Do not know how to delete multiple notes on iPad? This post will tell you the exact answer. Just take 5 minutes to get it. First download AnyTrans to save your time before reading this guide on how to delete notes on iPad. The Notes app allows us to record all kinds of things in everyday life. But as time goes by, there might be many unnecessary notes like shopping list or daily plan. 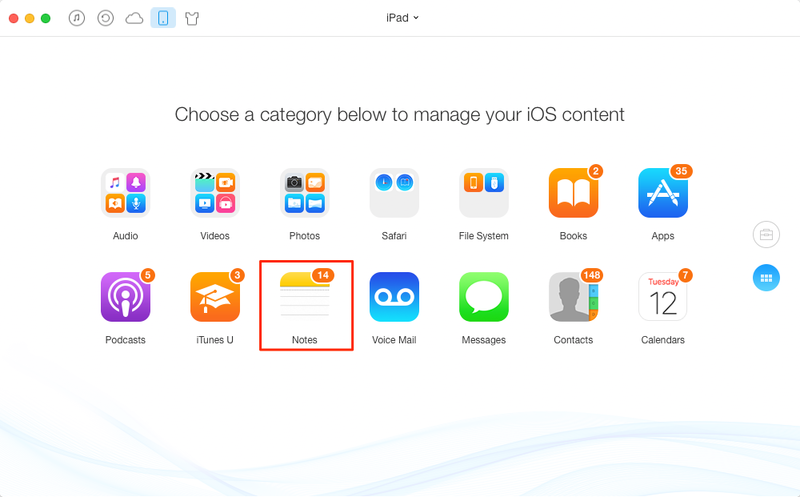 In this case, you can just delete these notes on your iPad to free up iPad space. As is known to all, when you go to Notes app, it just lets you delete notes one by one, which is quite time-consuming when you have to delete multiple notes. Today, we will show you how to delete all notes at once. But you’d better first make a backup for the notes in case you may need them in the future. Now let’s first have a look at the tool we need. 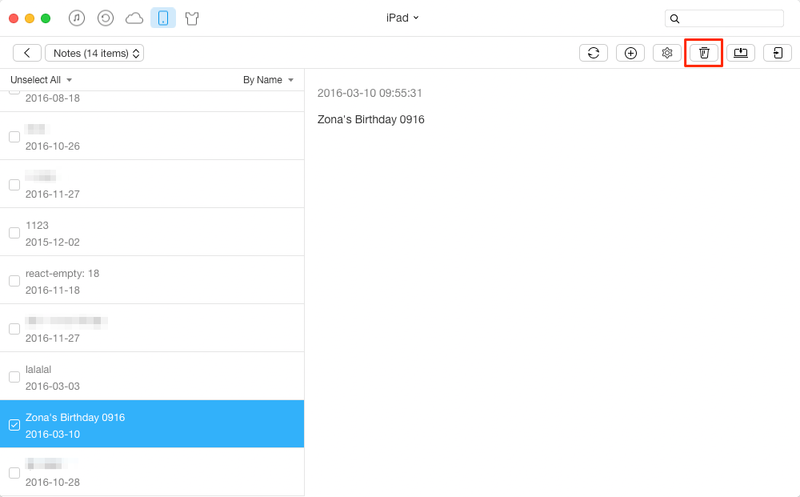 AnyTrans is a professional iPad data manager that can help you delete multiple notes at once. You can preview and select the notes you want to delete. Besides notes, it also allows you to delete songs, videos, photos, apps, contacts and more on your device. Not only that, AnyTrans can also transfer iPad data to another iDevice, to computer/iTunes and the reverse can also happen. 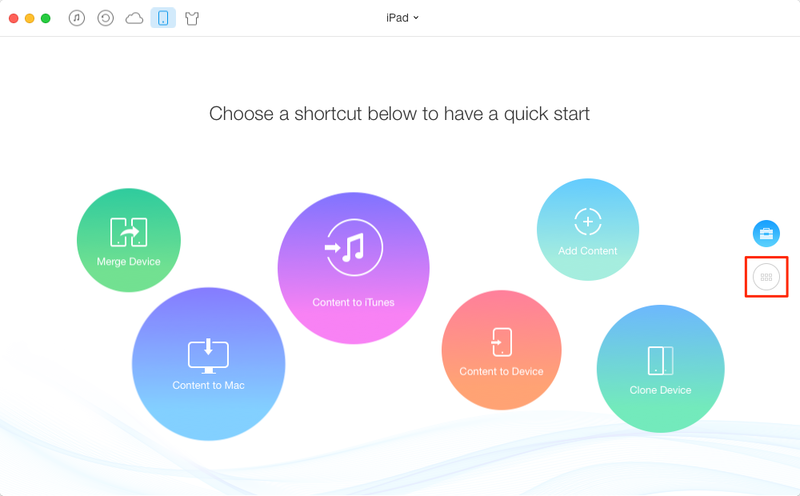 You can have a better control of your iPad content. How about give it a try? Then follow us to delete your iPad notes with ease. Step 1. Launch AnyTrans > Connect your iPad to computer > Click the button at right. Step 2. Click on Notes. Step 3. Select the notes you want to delete > Click on Delete button. As you can see, you can easily remove multiple notes from iPad. Why not give it try? If you have any questions when using AnyTrans, just send an email to tell us. We will reply to you as soon as possible.